Our Eyeliner treatment will lift and define your eyes in a way that brings them to life. No more wasting time trying to achieve great lines. Semi Permanent Eyeliner will last at least 18 months. Many women are unhappy with their eyes, and the daily grind to apply pencil. Having semi permanent eyeliner will eliminate this, and will guarantee a great look 24/7. You can choose to have either the top, bottom or both lids treated. You can have a subtle lash enhancer (a fine line of pigment through the lash line) or alternatively you can choose to have a much thicker and more conventional line. There is a vast number of shades to choose from including browns, blues and greens, with black being the most popular pigment colour. 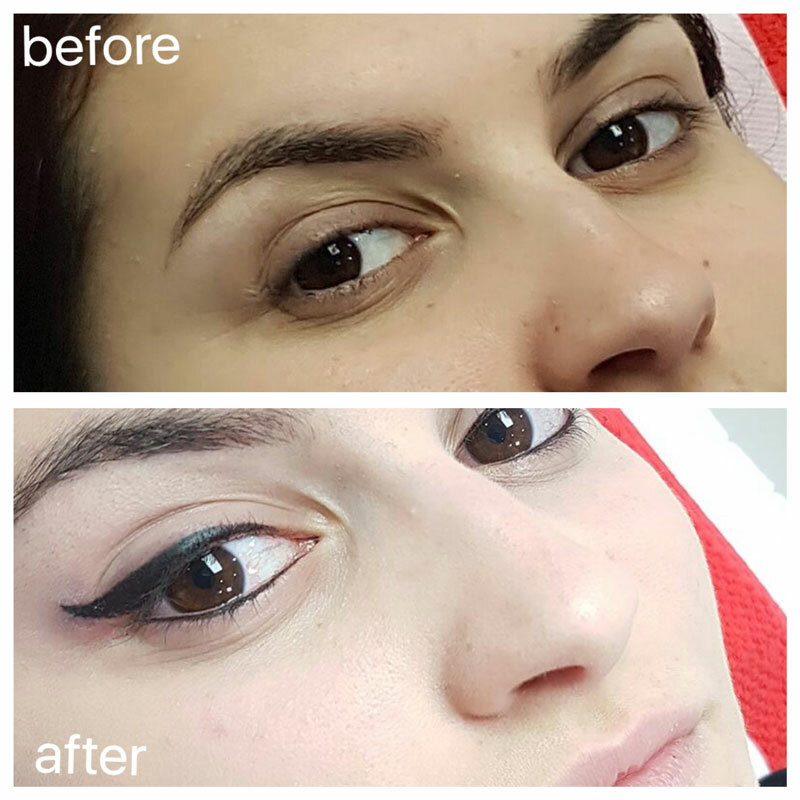 Your safety and satisfaction are our number one priority, so everything is discussed and pencilled in prior to us commencing the treatment, this is to ensure that you are completely happy with the style and shape of your eyeliner. One of our professionally qualified consultants will map your face measurements to ensure that your chosen treatment gives you the best possible Semi Permanent Makeup outcome. Your eyebrows, eyeliner or lip shape will be drawn onto your skin so that you can physically see the shape we are aiming to achieve for you. Once you have approved the shape we will begin your treatment to create a new hassle free make up regime for you. The cost of Semi Permanent Eyeliner is £399.00, but for a limited time only you can save £50 and pay just £349. But hurry this is for a limited time only. Does a Semi Permanent Eyeliner Treatment Hurt? We want you to be as comfortable as is possible throughout your procedure and are happy to offer you a numbing gel which can ease any discomfort you might feel. Most of our clients choose not to use anything but you can let us know your preference at your initial consultation. 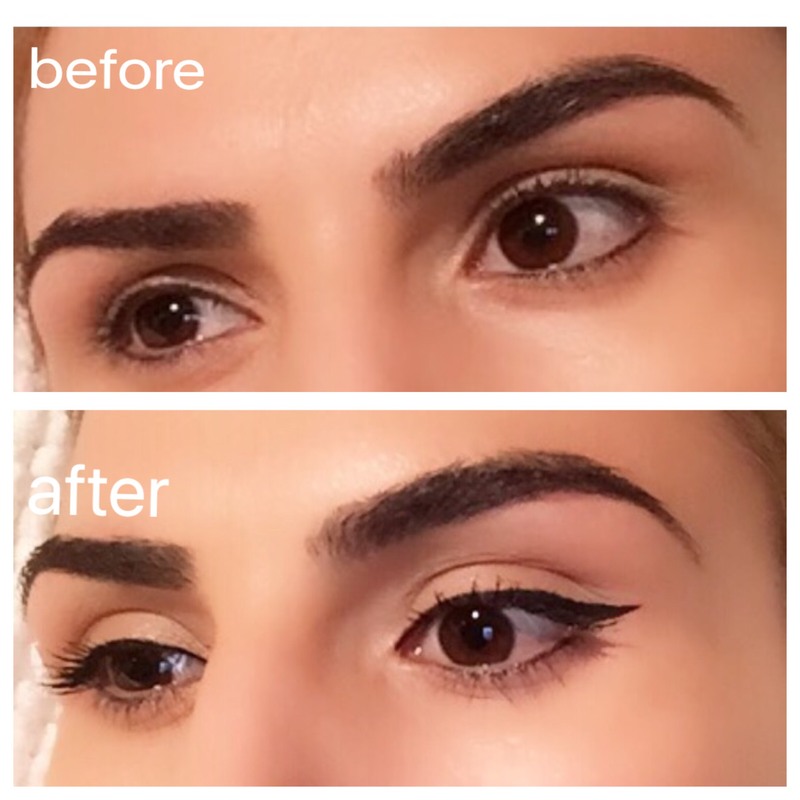 How Long Does Eyeliner Semi Permanent Makeup Last? Eyeliner usually lasts up to 4 years, but does depend on a number of factors: Your skin type; Medications that you are taking; Your exposure to direct sunlight; Your age, the more mature skin holds the pigments for longer as the skin does not regenerate as quickly; Your smoking and nutritional status; How well you look after your skin 10 days post procedure. Absolutely! All our products comply with RESAP 2008. We only source our pigments from Germany, never from China. They are ORGANIC, VEGAN FRIENDLY and HEAVY METAL FREE. Most people will need a top up treatment between 4 – 8 weeks after their initial treatment. This treatment is included in the price below. Yes. At Designing Faces we make sure that you are happy and safe through every step of your treatment process with us. Even though reactions to our chosen pigmentations are very rare, we would never presume to take a risk with your health. Semi Permanent Eyeliner £399 including consultation, first treatment and top up treatment (4-8 weeks after initial treatment). Do not take Niacin, Vitamin E, Fish Oil or IBUprofen 24 hours before procedure. Electrolysis no less than five days before. Do not resume any method of hair removal for at least two weeks. Eyelash tinting or eyelash curling should be done no sooner than 48 hours before, or two weeks after the procedure. Do not wear contact lenses during or immediately following the eyeliner procedure. Remember to bring your glasses. You may resume wearing your contact lenses as soon as your eyes return to their pre-tattooed condition. DO NOT rub, pick or scratch the treated area. Let any scabbing or dry skin naturally exfoliate off, picking can cause scarring. You may experience slightly puffy to swollen eyes, heavy lids, light sensitivity and bloodshot pupils. You eyes may feel more swollen than they appear. Please try to sleep in an elevated position to help reduce swelling at night. You may not want to use your best pillowcase the first two nights. Eyes will be swollen and perhaps ‘crusty’ upon waking. The swelling will disappear from being in an upright position and increasing circulation to the area. Avoid heavy lifting, physical exertion and if possible crying. Pigment within the epidermis will begin to flake off in little stitch looking lines, although some people do not notice the exfoliation at all. Do not scratch/ pick! Blinking helps to eliminate the small pieces of pigment and epidermis which has detached. Do not scratch/ pick! All shedding should be complete. You’re safe to put your face back in the shower spray. I had my lips done by Ella, thank you very much. They look amazing and shape is perfect..Highly recommended. Thank you Ella. Looking forward to get my eyebrow done. I previously had my brows done by someone who was supposed to be a professional and also trains others. My brows needed up being scarred and you could see the red cheap pigment which looked dreadful only after a couple of months. It made it worse that this lady refused to offer any aftercare. I went to Ella. Even after my first treatment I am absolutely delighted with the results. Ella is amazing at what she does and she is such a perfectionist. I am fussy and Ella really did exceed my expectations. The saying is true, you absolutely do get what you pay for. Clean fresh clinic environment and friendly professional service. It was very reassuring that Ella has 10 years experience in this field, and as you can see from her work, she is excellent at what she does.